August 17, 2018 - Write for Wine: It's Wine O'Clock Somewhere!Write for Wine: It's Wine O'Clock Somewhere! 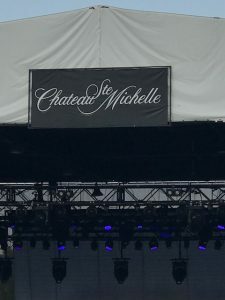 There are still tickets for the September concerts at Chateau Ste. Michelle‘s 34th Summer Concert Series. But only a few concerts remain this year, so get your tickets soon! Just think about it — a concert at the oldest winery in the state accompanied by award-winning wine and beautiful surroundings — the result is a special experience.